It starts out pretty standard. Some nice establishing shots of some jungle, a few atmospheric images showing light shining between the tree. 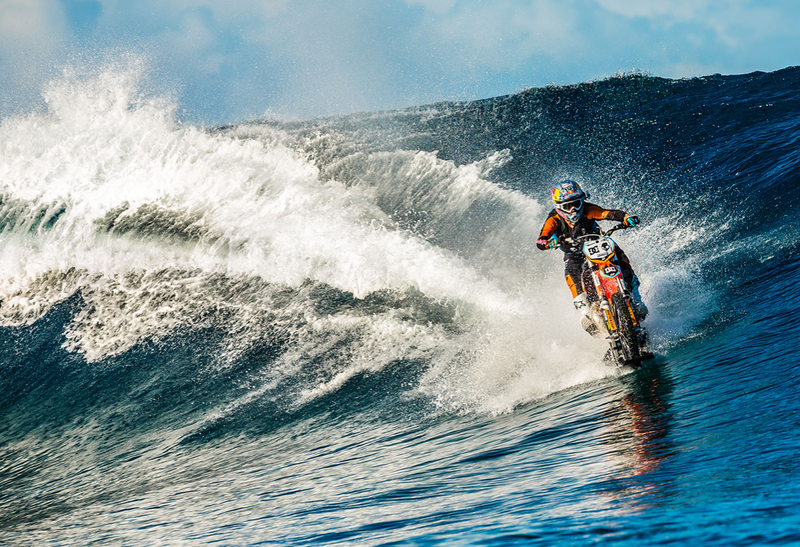 You may be tempted to click away, but we would implore you not to, because you’d miss the incredible spectacle of a surfing motorcycle. 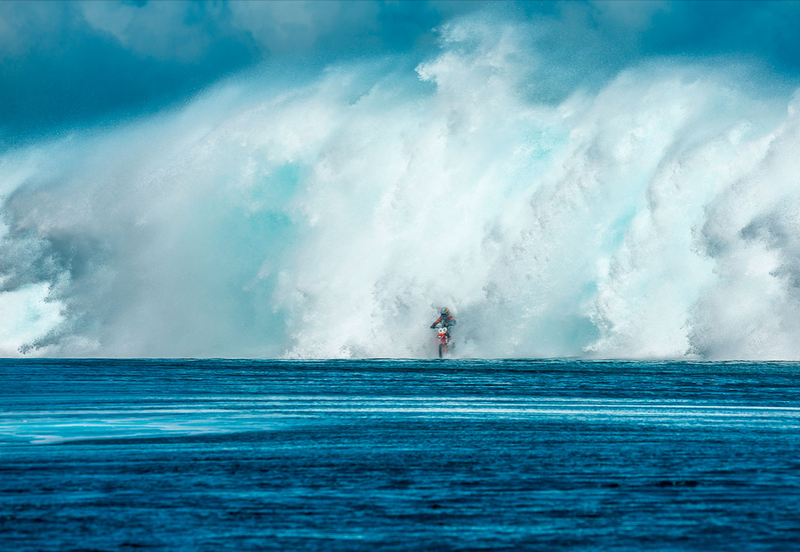 For world record-holding Motocross athlete Robbie Madison this has been a dream almost two years in the making, and now on the waves at Teahupo’o and Papar in Tahiti he has made it a reality. The tropical setting of the amazing stunt – looks nice to us! His project, titled ‘Pipe Dream’, has resulted in this stunningly produced video which has garnered millions of views in just a couple of days. The range of shots captured in the film is breathtaking – one minute we’re in close GoPro footage, the next sweeping over Robbie’s head in a beautifully composed aerial shot. Some may also have you scratching your head as to how exactly they were captured. Making the stunt happen involved years of labour modifying Robbie’s bike, adding specially designed fins for hydroplaning, waterproofing the engine, and customising the rear tires. DC Shoes, who financed the project, have teased a behind-the-scenes video titled ‘Behind the Dream’, which will hopefully provide some insight on the process of rigging the bike and filming the sequence – at the very least it looks as though we’ll see some footage of a few spectacular wipeouts! While we wait for that, you can learn more about Pipe Dream over at DC Shoes.